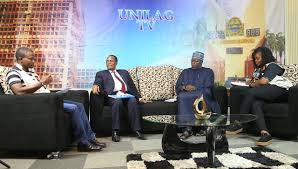 The University of Lagos (UNILAG) has set the pace with its first campus television station in Nigeria. The station, which operates on Channel 184, will be transmitted on StarTimes digital broadcast platform. It will deliver local, national and international programmes. At the launch of the station, Vice Chancellor Prof Oluwatoyin Ogundipe said UNILAG TV would be a reference point in sport, documentaries, entertainment as well as an instrument of educational advancement for the promotion of the cultures of the school’s immediate environment. He added: “UNILAG TV Channel 184 will have a time belt for our Distance Learning Teaching packages. In other words, UNILAG TV will serve as an instructional facility for our Distance Learning students. In line with the university’s entrepreneurship and skills acquisition programme, Ogundipe said the station would be a platform for unleashing the potentials of students. The vice chancellor said the station would not be limited to students in the Art faculty, adding that it would also be used as a medium to keep students informed of the happenings in the university through its one-hour news. 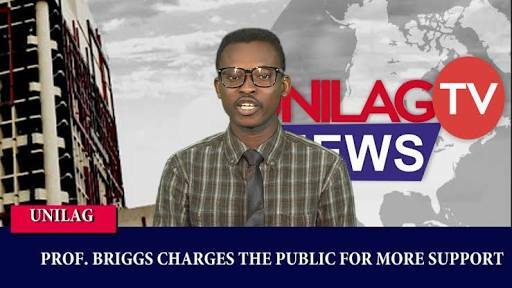 The chairman of UNILAG Multi-Media Ventures, Prof Muyiwa Falaye, said the station would run in accordance with the codes of the NBC.